Shell Green is an existing digested sludge incineration facility disposing of waste water sludge from the Liverpool and Manchester areas. Two streams have been in use since the 1990’s and a new 3rd Stream has been added for completion in 2010. Alpha Plus were awarded the contract for the mechanical installation of plant and equipment associated with new stream. 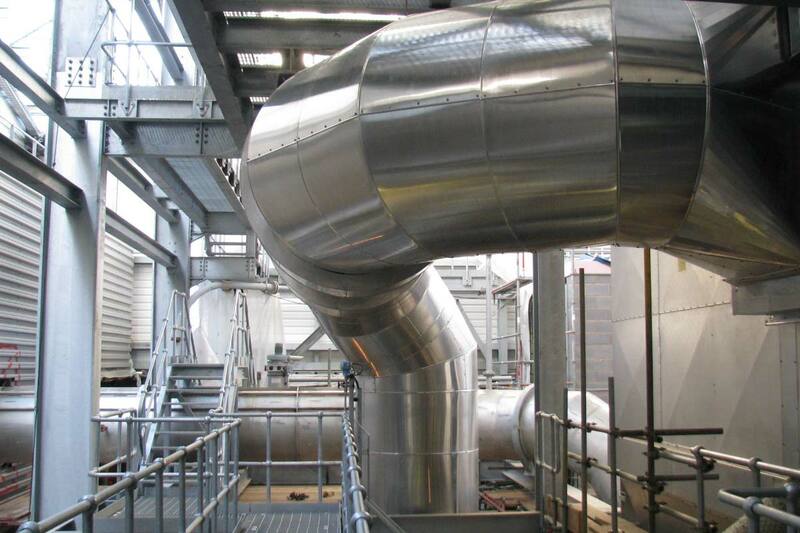 The installation of large items of kit onto steelwork or prepared plinths, sludge dryers, acid/alkaline scrubbers, various pump stations, IP and HP steam heater, flash vessel, various conveyors, ID fan, are examples of the kit that was installed. 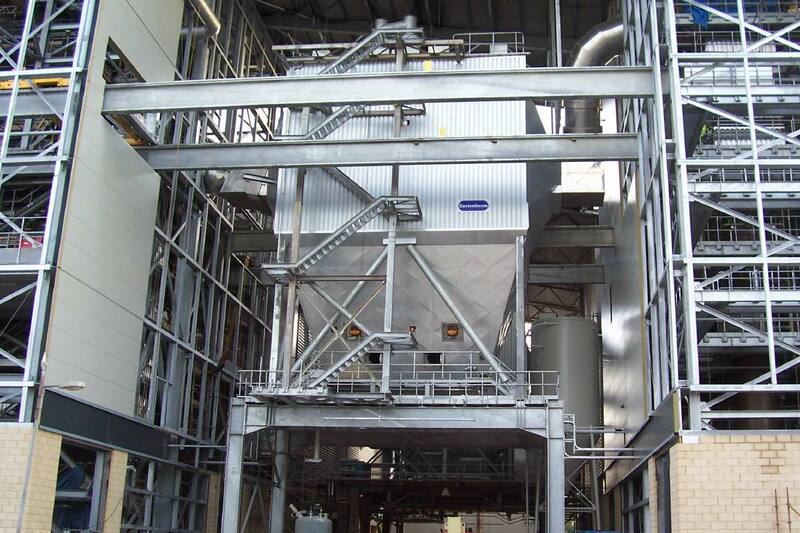 The erection of the electrostatic precipitator (ESP). The kit was delivered to site piecemeal. The hopper and sidewalls were welded together on site and lifted into position building up from the bottom to a height of 30 metres from floor level. The internals, rappers and roof sections were then installed. 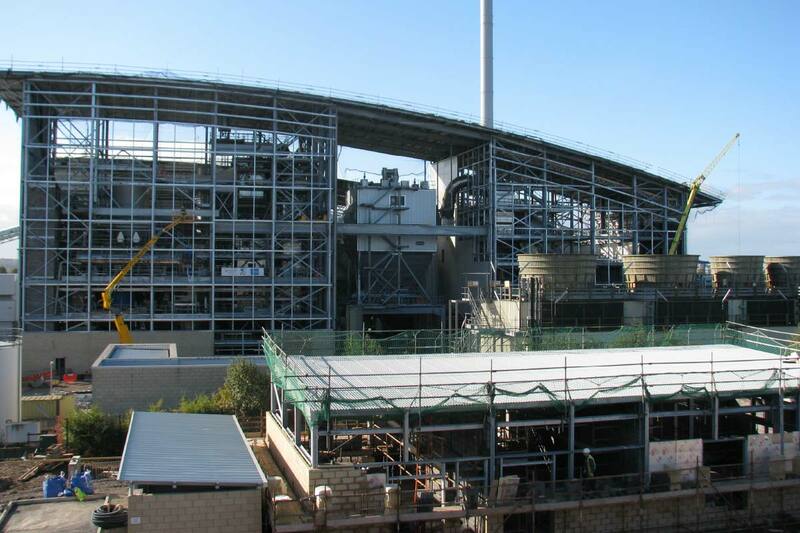 The access and support steelwork and thermal insulation were also included in our scope of works. Alpha Plus appointed persons created lift plans and supervised all cranage required to install the above kit. 500,250 and 100 tonne cranes were mostly used. ESP Assembled and being installed, including internal electrode system. De-min water, centrate in stainless steel. Fuel oil, natural gas, boiler feed water – mild steel. HP steam and Condensate – 1.6% crome molybdenum. Acid / alkaline – GRP . New incineration plant under construction. In addition to the main contract we were also awarded a contract to supply manufacture and install the cross site pipe work feeding the new incinerator. Site waste water system – Thin wall stainless steel Caustic- Dual contained PVC.